Tech companies are suffering from a shortage of skilled workers, according to a recent worldwide survey of CIOs. Your company can approach the IT skills gap–or any skills gap–in two ways: creative labor sourcing or a revamped recruitment and retention process. The latter is more critical, according to recruiting expert Jim Jonassen: Elevate the importance of recruitment, prep for hiring needs ahead of time, and build retention programs. 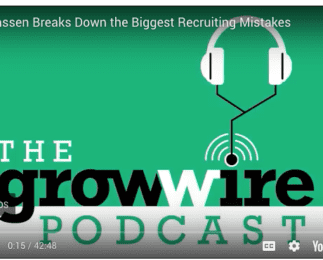 and hear Jim break down the biggest recruiting mistakes in a recent Grow Wire Podcast.